We at Ad America create top of the line large format printing that exceeds client expectations and is imbibed with creativity and innovation. We offer a comprehensive range of format printing services across a multitude of clients in our industry. Our printing services provide a clear message to your targeted audience. That expectation with production speeds ideal for handling urgent jobs produces indoor and outdoor prints on a variety of traditional and unique signage – including textiles. All our inks are non- toxic and eco-friendly. We provide large format printing that is durable, attractive and reasonable. Along with printing services, we also offer installation of products at the client’s site. We offer digital format printing of any size and color within the promised time. Some of our products include self adhesive film, vinyl, photo papers, canvas, banner, textiles and more. Our clientele list encompasses all sizes and types of businesses including retail groups, food concessionaire, trade show exhibitors, marketing and advertising agencies, art galleries, charities, construction firms, local authorities and more. We work in close association with the clients so that their expectations are not only fulfilled, but outperforms their expectations. Additionally, we specialize in quality banner printing with the latest equipment and non-toxic eco-solvent inks for excellent durability. We are truly dedicated to get your message across. We at Ad America are committed to provide a reliable and professional service to meet and exceed the expectations of our customers. We guarantee the quality and superiority for all your banner printing wide format need. 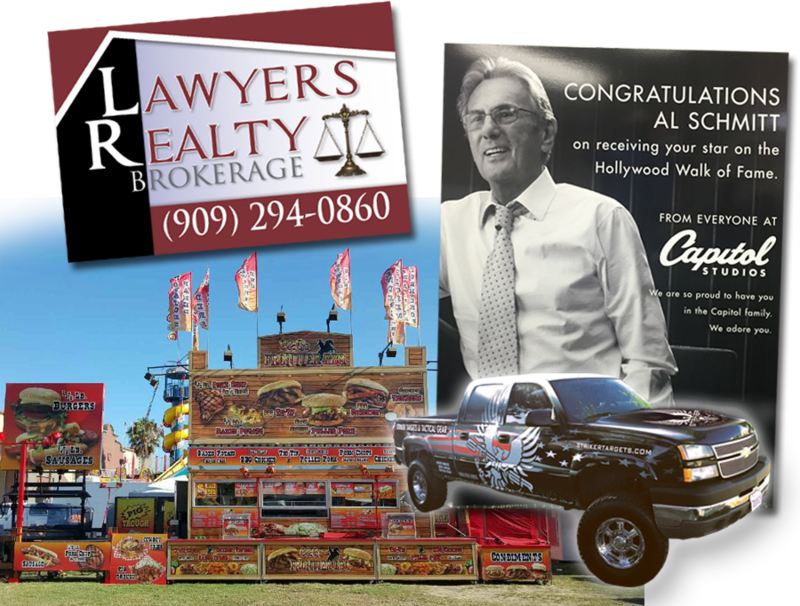 Ad America is one of the Los Angeles’ leading banner printers covering most of Southern California. Ad America offer all forms of banner printing including mesh banners, double-sided banners, hanging banners and external vinyl banners all of which can be printed and delivered nationwide. If you require banner printing in Southern California, we can offer time effective banner printing service including same day printing if machine space allows. Ad America produces full color, digitally printed banners at low prices. There are no color limitations. You can print banners of any sizes you require using the same fast and accurate production process. Vinyl banners are printed at up to 1440dpi, with protected inks, finished with molded, strengthened plastic eyelets, or with pole pockets to meet your needs perfectly. Canvas prints are excellent artworks for your walls and other display applications. Whether you are a large company or home or office client, we offer completely customized range of canvas printing solutions to meet your specific needs. With quality large format printing services, we can transform your cherished memories and artworks to elegant canvas art prints. Photo canvas prints we offer are excellent photo gifts for your loved ones. From classical artworks to contemporary artworks, we can create unique canvas art from any of your favorite pieces. Our most popular 18″x24″ size coroplast signs can be an effective advertising solution for contractors, realty companies, parking signs, lawn care services, landscapers, election signs and other service providers and small businesses. We also offer a variety of single-sided and double-sided yard signs on other substrates such as 3mm and 6mm plastic, this PVC material is a smooth, bright white rigid plastic that is lightweight, yet very durable and weather resistant. They are great for both indoor and outdoor use, and have a low-glare, matte appearance, Aluminum and aluminum composite (ACM) signs are also available. It is our most durable sign and is ideal for long-term, outdoor use.